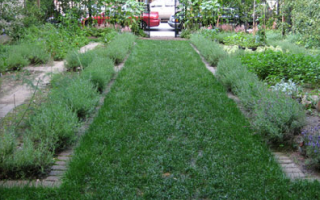 The Herb Garden is located between two apartment buildings and provides a community gathering sport for the neighborhood. NY Restoration Project resotred he garden in 2006 with help from Linda Allard and her husband Herbet Gallen. They funded the garden’s renovation and endowment and Allard provided the original design for the site. The Garden installed a compost bin outside the garden to encourage community composting – with “do’s” and “don'ts” composting signs in Spanish and English. Winner of Manhattan SWAB 2012 Composting Grant Award.